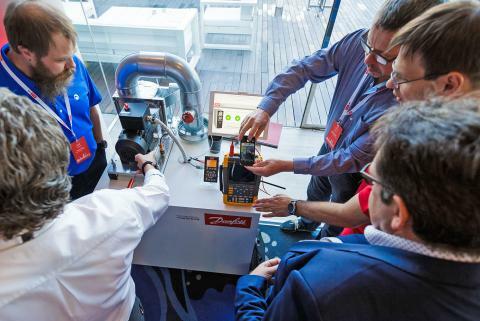 Challenge: Quickly setting up and troubleshooting variable speed drives with an oscilloscope. 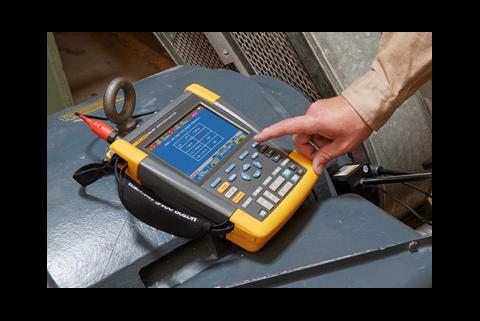 Solution: Fluke MDA-550 Motor Drive Analyzer provides clear diagrams of the proper setup, pre-defined test procedures and step-by-step instructions to save time and help streamline troubleshooting elevator motor drives. One of the most prominent elevator companies in the world maintains more than 5,000 installations across Western Germany. These elevators are inside all types of business and commercial buildings, including office towers, hospitals, schools and high-rise apartment buildings. The workers and residents depend on the elevators every day. Downtime must be minimal. The company employs scores of general purpose technicians on its maintenance team to perform preventative maintenance, troubleshoot and repair malfunctions, and even do post-mortems after failures to learn how they might be prevented in the future. In addition to the generalists, there is a group of five electronic specialists who cover the entire area. 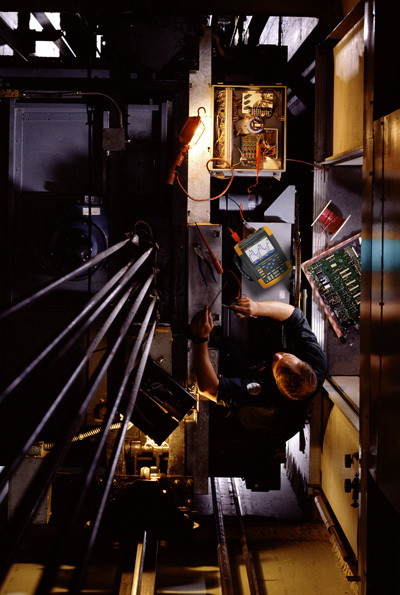 They primarily troubleshoot the increasingly sophisticated control systems, load weight devices and variable speed drives used to keep the elevators running smoothly. Motor drives in elevators are also called variable frequency drives (VFD), frequency converters or adjustable speed drives (ASD). They transform constant voltage from the main ac power supply into a voltage that varies to control motor torque and speed, ideal for motors that drive the cable or belt systems that move the elevators up and down. One veteran electronics technician at the elevator company said he has typically used Fluke ScopeMeter® Test Tools (125B and 190) to troubleshoot drives. 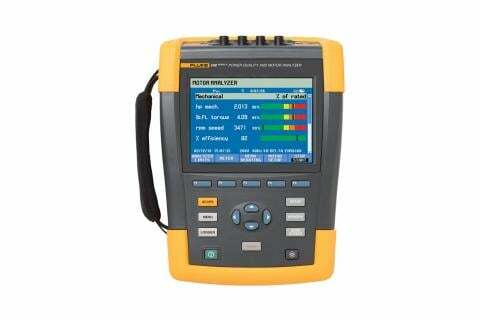 Recently, however, he switched to the new Fluke MDA-550 Motor Drive Analyzer. The technician is highly skilled with 25 years of experience, including electronics and telecommunications in the military and a degree from a technical school. 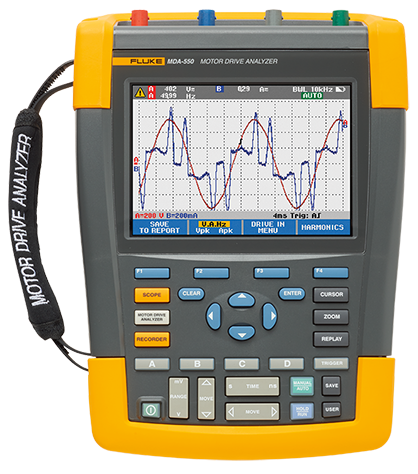 The new motor drive analyzer, he said, is great for both very skilled or less skilled technicians. "It's a nice tool for everyone because you have guidance. And the interface takes you through the process of measuring," the elevator electronics technician said. 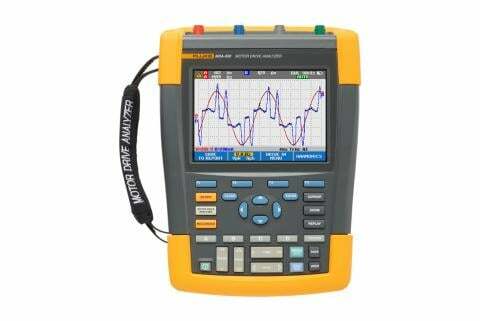 The MDA combines a handheld oscilloscope with a multimeter and adds easy-to-read diagrams and step-by-step guidance through tests. 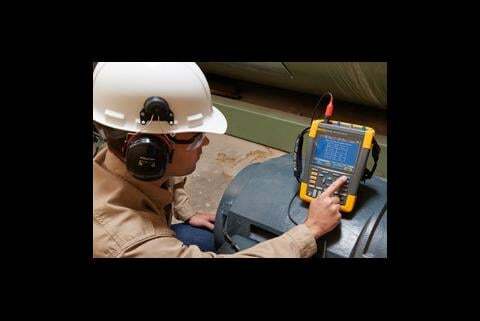 Fluke motor drive analyzers guide you through these tests and automate many of the needed calculations so you can have confidence in the results. Plus, you can save data to a report at nearly any test point, so you can have documentation to upload to a computerized maintenance management system (CMMS) or share with a colleague or consulting expert. In one recent service call, the electronics technician was troubleshooting a large elevator at a hospital. “Because of 14 years of work, the motor drive showed ripple on the load. They were ripples of the DC link. We thought it might have something to do with the aging of the capacitors. They tend to get drier and drier as they age. “That’s a problem—the elevator will need more and more current because the capacitors will need more and more current. The result is that the capacitors get weaker and weaker, and you waste energy. Using the MDA, I was able to go to the DC bus test and the DC ripple and quickly complete the test and confirm what we suspected,” he said. They ended up changing out the whole bank of capacitors to fix the problem.